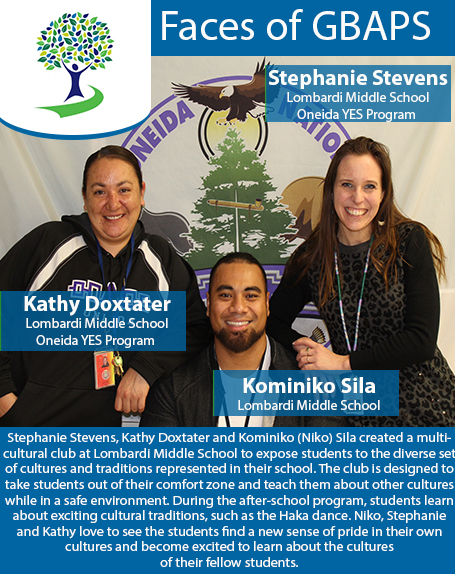 Lombardi Middle School, located on the west side of Green Bay, serves students and families from the surrounding neighborhoods as well as parts of Allouez. Lombardi provides rich academic programming, including Project Lead the Way, a STEM (science, technology, engineering and math) curriculum. At Lombardi, students can participate in over 50 different activities.